Which? has unveiled its revamped boiler review guide to help consumers find the best boilers on the market. Choosing a new boiler is an expensive outlay for most homeowners, and the product-testing and consumer campaigning charity recognises the need to be able to separate the wheat from the chaff when it comes to buying the most energy efficient boiler for your home. The new and improved boiler review features more than 180 gas and oil condensing boilers, with helpful feedback from thousands of owners who have rated their existing boilers in terms of reliability and efficiency. According to a Which? 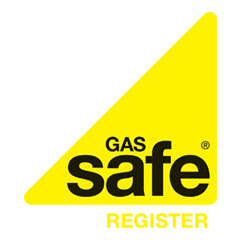 survey, 85% of gas boiler models owned are from top brand manufacturers including Glow-Worm, Worcester, Bosche, Vaillant and Baxi, with 66% of oil boiler owners owning models from these leading manufacturers. The boiler review reveals more than 40 best buy boiler models currently available on the market, and features a filter system which allows you to search for boilers in a variety of ways, including heat outputs and boiler efficiency. Which is the Best Cheap Boiler?